Although both Anna and Jens are fictional characters, and their friendships with Grieg come directly from my imagination, their actions are shaped round factual documented events in Grieg’s life. 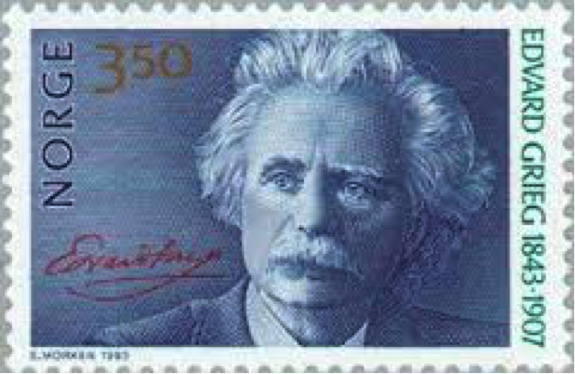 Edvard Grieg was born in Bergen in 1843 and went on to become Norway’s greatest composer. His father was a merchant, and his mother was a music teacher, composer, playwright and concert pianist. He was their fourth child and though his father wished for him to join the family business, Edvard inherited his mother’s love of music. Edvard began piano lessons at the age of six and it was his mother who taught and encouraged his talents. By the age of twelve, Edvard had already composed his first piece, Variations on a German Melody. He showed little interest in school but excelled at music. In his second year studying music and composition at the Leipzig Conservatory, as Jens does, he survived lung disease that impaired his health for the rest of his life, leaving him with a destroyed left lung and considerable deformity to his thoracic spine. Nina Hagerup, Grieg’s cousin, had always been close to him as children having both been born in Bergen, but at the age of eight, Nina’s family had moved to Copenhagen. Like Edvard, Nina was a talented pianist, but it was her voice that caught his attention. Despite their parent’s protests, they announced their engagement in 1865 and were married in June 1867. The following year, they had a daughter, Alexandra, and in that summer Grieg wrote Piano Concerto in A Minor. It was this composition that achieved national and international recognition. Unfortunately, their daughter died from meningitis only a year later, and they were unable to have any more children. In 1874, his friend, the writer Henrik Ibsen, asked him to set one of his most famous works, Peer Gynt, to music. Edvard and Nina’s relationship slowly unravelled and in 1883, Edvard left Nina and their marriage for several months. During that time, he toured Germany, and visited Leipzig to visit his close friend and publishers, Max Abrahams, who ran Editions Peters. This is at the same point in time that my fictional Anna is in Leipzig, destitute, after Jens has abandoned her. 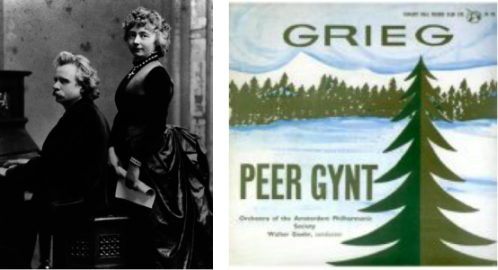 It is documented that Grieg had a number of female protégées, enjoying their company and playing for them as they sang. Whether this led to physical affairs is unknown, but Grieg historians believe it highly likely it did, given Grieg was a living ‘celebrity’ at the time. And as such, never short of female admirers. 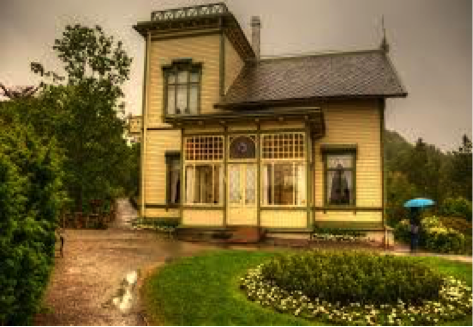 The following year however, Nina and Edvard performed together in Rome and afterwards returned reunited to Bergen, where they built a house in 1885 called Troldhaugen (below), which still stands today and is part of the Grieg museum. Grieg kept a small rubber frog in his pocket – the inspiration for Ally’s ‘clue’ from Pa Salt – and before every performance he would give it a rub for good luck and inspiration. However, due to the strain of constant travelling to perform with only one working lung, Edvard was taken ill just before a trip to England and died in a hospital in Bergen on September 4th 1907, aged 64. 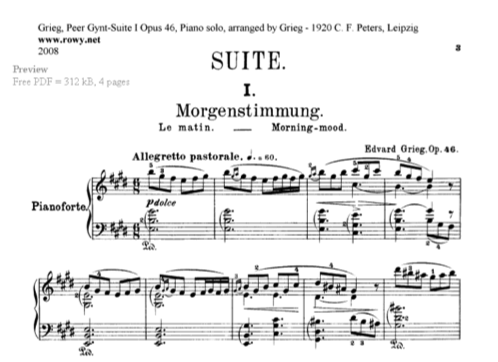 Grieg’s compositions brought Norwegian folk music and culture to the world stage, and he was at the forefront of the musical Romantic movement. His legacy of the haunting, beautiful melodies – especially in the Peer Gynt Suite itself – have shaped the cultural identity of Norway, and he is still celebrated today as a national treasure.